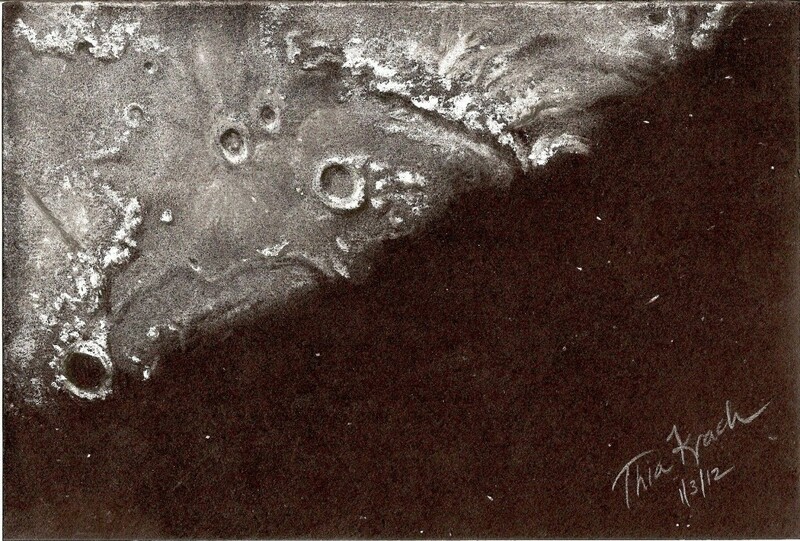 I submit my most recent sketch of a close up detail of Mare Imbrium of 1/1/12. First observation of the New Year for me & first attempt using white pastel & black artist paper for a moon sketch. I found it a bit frustrating at fist since I have always sketched in black charcoal on white paper for the moon. After I got the hang of it I really enjoyed the texture & detail I could create with the black paper. I am currently working on an Astronomical League Certificate for the moon and I am amazed how much more detail I must learn to sketch. I want to know what every crater & peak of light is that I am recording on paper. Beautiful sketch! Very realistic and artistic too. Great job! Very beautiful and impressive work!!! That is a very fine sketch. The technique really gives you a deal of range.